Action RPGs or ARPGs are all over the place on the PC, but consoles don't have as many to choose from. 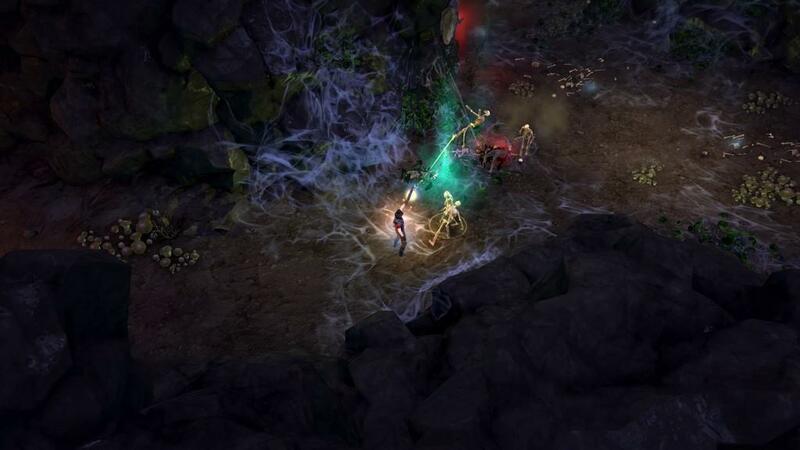 For us, we had Torchlight, we had Diablo III, and now we have Victor Vran: Overkill Edition. These types of games focus on intense action, cooperative experiences, and plenty of loot. So, does Victor Vran, demon hunter extraordinaire, manage to carve his name into the halls of console greatness, or does his game fall like so many hunters before him? It's time to find out! The storyline of Victor Vran has a similar set up to most gothic horror RPGs. You play as the titular demon hunter who is arrives at the kingdom of Zagoravia, only to find out that it's been overrun by demons and monsters. You're here in search of a friend who hasn't been heard from in some time. You fear the worst as you encounter the bodies of countless demon hunters that were slain by the demonic hordes. Victor himself is voiced by the incredibly talented Doug Cockle, who is best known for his work as Geralt of Rivia in The Witcher series. His simultaneous gravely and dulcet tones lend an excellent tone to the narration. Shortly into your adventure, you are contacted by The Voice who is yet another narrator that chimes in during your dungeon crawling. While I really enjoyed the subtle references to other games like The Stanley Parable, I felt like The Voice, despite being a jesting narrator, kind of played against the game's gothic and horror tones. The situation is bleak in the kingdom of Zagoravia, and the last bastion of survivors have only the castle walls to protect them from the demons that have overrun the city. Furthermore, the fate of Victor's friend hangs in the balance. With everything going on in the main story, The Voice just seems like it's out of place, despite being an amusing narrator. It makes sense that a demon voice would taunt and jest, but it happens so much that is encroaches on the atmosphere the game is trying to build. Despite the conflict in tone, I really like the story in Victor Vran and the characters you come across. The Overkill edition also comes with two DLC expansions entitled Fractured Worlds and Motörhead: Through the Ages, respectively. Fractured Worlds doesn't add a whole lot of story, but it does offer a compelling premise for the broken and shattered state of its world. On the other hand, the Motörhead: Through the Ages expansion offers a fun and truly metal tour through world inspired by the iconic band. These DLCs don't necessarily beat the characters and narrative of the main game, but they do offer some additional story for those who finish the main game and want to try something different. They can be accessed at any time without compromising your saved data, which is a nice touch. Victor Vran may look like your atypical isometric action RPG, but writing it off as another "diablo clone" would be doing the game a huge disservice. Victor Vran: Overkill Edition manages to stand out from the pack by trimming the fat from the genre and offering frantic and fun combat as a result. For example, you can equip two weapons and switch between them with a press of the R1 button. This allows you to quickly change the dynamic from close quarters combat, to ranged attacks at the press of a button. Furthermore, each weapon type has three different attacks. This means that you can have six distinct attacks across two weapons at any time. Experimenting with weapon combinations is a blast. This is thanks to the tight controls and smooth combat animations. Victor Vran: Overkill Edition maintains a rock-solid 60 FPS frame rate, even when the action gets insane. This makes for some of the smoothest and most satisfying gameplay I've seen in an ARPG. Each of the weapons have their own unique feel. The swords are nice and balanced, while the hammers have a nice weight and power to them (the jumping slam attack is always awesome). The shotguns pack a punch, and the rapiers have a narrow, but precise attack radius. Everything just feels right while you're playing. While I really like the feel of the weapons, I felt like there wasn't as much variety as there could be in the loot drops and in the weapon appearances/icons. More weapon types and more varied loot drops would help a lot towards keeping the variety up. The first few hours are really special, and then you slowly settle into a routine of gear that's rarely broken unless you come across a significantly better weapon. Despite my small complaint with the loot, I love the way it is distributed in Victor Vran: Overkill Edition. You can get loot from drops, but it's also given as a potential reward for leveling up, and for completing dungeon challenges. Speaking of dungeon challenges, these are perhaps my favorite part of Victor Vran: Overkill Edition. Each new area has a set of goals to complete, all of which offer some type of reward. For example, if you can kill 80 enemies within the first 2 minutes of entering a dungeon, a chest will fall from the ceiling and pop open to release its rewards. Beyond the challenges, there are also secret areas in each dungeon that offer a chest full of loot or gold as well. 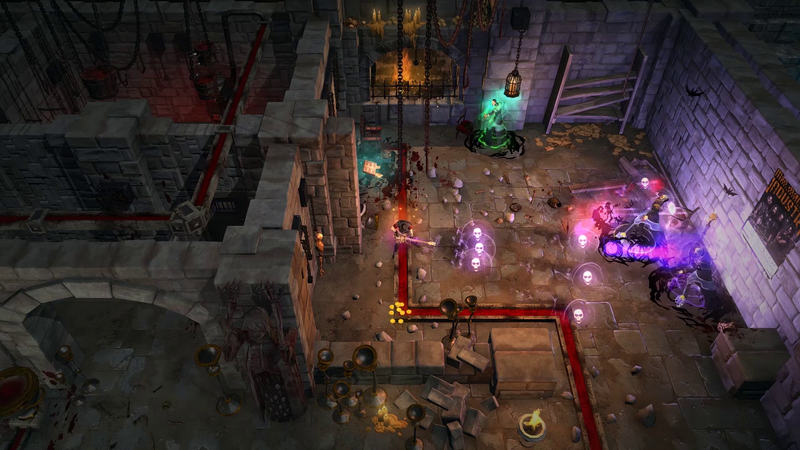 While the environments themselves aren't incredibly different each time, the challenges and secrets make each dungeon feel unique. Continuing with the streamlined nature of the game, the leveling and skill system is very fluid as well. Typically, these types of games are usually held to a strict set of skills and use skill trees to gain new abilities. Victor Vran overthrows this with demon power and destiny card mechanics. Demon powers can be found as loot drops and can be switched out on the fly. They can be triggered when your overdrive gauge is filled and run the gambit from massive AOE attacks, to defensive and healing abilities. The Destiny Cards in the game are styled like tarot cards. These can be equipped and switched out on the fly as while, and are dropped like loot. They give you passive abilities and bonuses and each one requires a certain number of "Destiny Points" to equip. This pool grows as you level up. The fluidity of these two mechanics means that you're never locked into one specific set of active and passive skills. It's actually refreshing as it keeps the focus on the gameplay. Finally, you can choose your outfit from a limited set of options, all of which offer their own passive ability. The lack of an armor mechanic, while sensible from a streamlined perspective, makes it feel like the loot repeats more than it should since there's no chance for armor drops. To that same point, while I like that the leveling system is quick and simple, not having the ability to choose what you get each level, beyond your reward, makes it feel like the character combinations are pretty limited. It doesn't help that in local co-op, you're both Victor Vran as opposed to a side character. That being said, the local co-op and online options are excellent. You can't do both, however. Your local co-op game cannot be paired with two more players online. The DLC expansions included in the Overkill edition add some cool new features and weapon types to the gameplay, making this edition the one to get. I especially liked the daily random dungeons in the Fractured Worlds pack, along with the new weapon types in the Motörhead: Through the Ages pack. The only major issue I have is the inventory system. While it all works fine, there's some design choices in the UI that make it frustrating when you're trying to move or organize equipment. The d-pad isn't usable, and the sticks each do different things. It's more cumbersome and confusing than it needs to be. Even a button to quickly organize the items in a category would have helped a lot. 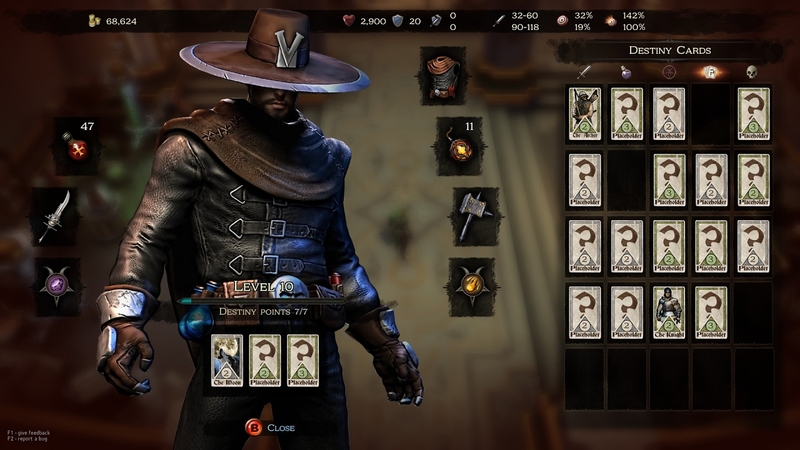 From a gameplay standpoint, Victor Vran: Overkill Edition manages to stand out by trying some new things with the genre and streamlining much of the experience to focus on its excellent combat. While not all of it is successful, a large part of it absolutely works. Victor Vran: Overkill Edition doesn't have incredibly stunning graphics, but what it lacks in detail it more than makes up for in its silky-smooth frame rate and attack animations. As I mentioned earlier, the weapons all pack their own unique punch and feel. The environments, while simple, have a good amount of variety to them. The voice acting across the board is great, and the writing is pretty sharp as well. While it doesn't reinvent the genre, Victor Vran: Overkill Edition does a lot of new things really well to make itself stand out. There's no denying that the game is a blast to play, especially in co-op. I'll most certainly be spending more time Zagoravia very soon, and despite the demon infestation, I think you should visit as well. Just bring some friends along for some demon hunting mayhem.